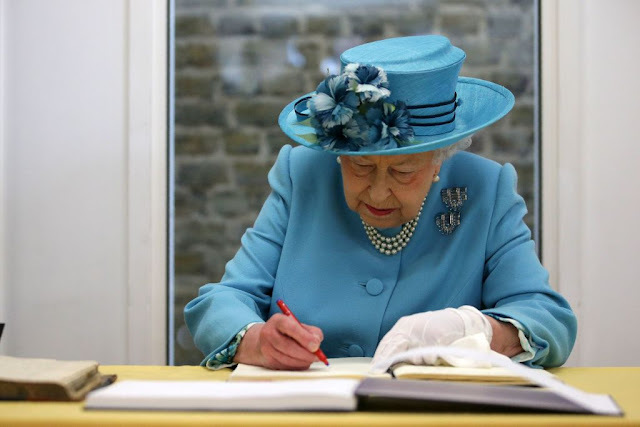 MANILA -- Britain's Queen Elizabeth II has sent the Philippines a message of condolences in the aftermath of Typhoon Ompong (Mangkhut), which battered northern Luzon over the weekend, resulting in dozens of deaths. In her message to President Rodrigo R. Duterte dated September 18, the Queen said: “I was deeply saddened to learn of the loss of life and the devastation caused by Typhoon Mangkhut. Prince Philip and I send our sincere condolences to all the victims, to those who have lost loved ones, and to those who have seen their homes and property destroyed." “My thoughts and prayers are with all those affected by these tragedies," she added. Earlier, the Philippine government, through the Department of Foreign Affairs (DFA) thanked the foreign states and international organizations that offered aid in its recovery and relief efforts following the onslaught of "Ompong". Australia, France, Canada, China, Israel, Japan, New Zealand, Singapore, South Korea, Switzerland, Thailand, the United Kingdom, and the United States were among those that offered humanitarian assistance to the victims, DFA Secretary Alan Peter Cayetano said.